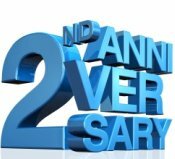 It’s been 2 years since I started writing Fanboy News Network, and a year since we migrated from BlogSpot to the WordPress site. I figured now would be a good time to take a look at what we are doing and what plans are for the future. I also thought for once I would talk about some other projects I am working on. Last year I set the goal of posting an article every Saturday. For the most part I have kept to that, with just a few hiccups, and I think that will be the schedule for the foreseeable future. It balances my writing with my work schedule and the rest of my life. I plan on continuing with the basic format that I have been using, but I want to refine my categories a bit more, as well as set up some article series I want to work on. Article will still be the category for the general articles I write, and be the general catch-all. Review will continue to be used for anything I cover where I use a rating system. More on that below. Geek Capital of the World will still cover any geek culture subjects that are specific to Seattle. Storytime will be any time I cover an event from my past related to geek culture, with emphasis on my time as an employee of Wizards of the Coast, or when I was part of the Camarilla board of directors. Podcast will be used for when I repost podcasts that I am part of. More on Podcast plans below. But I am adding the following new categories. Horror will be for articles I write covering Universal Horror or related subjects. Web Series will cover the growing field original web content. Geek Icons will be for a new series I will be doing on people who were pioneers or significant figures in geek culture. Conventions will be for articles specifically about geek centric conventions. Industry will be for articles that cover the various businesses that cater to geek culture such as the comic companies or film studios. Site news, for stuff like this. You should see the new categories now. Now as for what other projects I have in the pipeline. I am also working on some writing projects that I hope will develop into something more serious. One is a script for a Horror Host-type show based on a line I wrote in my Horror Host article. The other is a short story that keeps growing longer. As a writer, I find I am drawn to urban fantasy. Right now my big goal here is to have a story ready to submit to next year’s Norwescon writer’s workshop. I am hosting a monthly writing group to help develop more of these skills. I am also getting involved with voice acting and amateur audio drama. I’ve been posting episodes of the Hermes and Hekate Roadshow already. If all goes according to plan, I will be voicing a character in the second season. I am working with Julie Hoverson of 19 Nocturne Boulevard on some projects. She has also offered to teach me how to mix an audio drama. This will help with other projects I have in the works, including getting a Fanboy News Network podcast off the ground. F: A complete waste of time. A project that should not have been made. Would consider asking for my money back at the theater. So there you have it; where we stand and some hopes for the upcoming year. Thank you for checking us out and I hope you continue to enjoy what you see. This entry was posted in Site news, Uncategorized and tagged Fanboy News Network, Geek Culture by Caliban. Bookmark the permalink.